Sustainable Cobourg invites you to the Northumberland-Peterborough South All-Candidates Forum. When: May 30, 2018, at 7:00 p.m.
Don’t miss the FINAL chance to meet and hear from the candidates for Northumberland-Peterborough South. 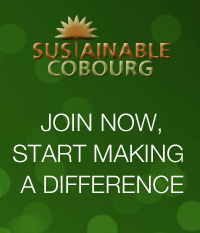 Sustainable Cobourg encourages you to send us your environmental-related questions. Remember that sustainability includes economic, social/cultural, and environmental dimensions. So we want to hear from you about concerns you have from any of these areas. This is your opportunity to voice your concerns. This entry was posted in Climate Change, Eco Action, Energy, Environment, Food & Organics, Health, Membership, News 2018, News 2018, Political, Sustainable Planning, Transportation, Waste and tagged carbon, climate, climate change, coal, Cobourg, development, election, emissions, Energy, environment, event, farmers, farmland, food, gas, green, greenhouse, Health, local, Membership, Northumberland, Ontario, pollution, provincial, sustainability, sustainable, Transportation, Waste. Bookmark the permalink.